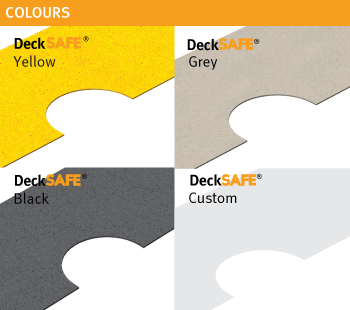 DeckSAFE® is considered as the penultimate solution for the decks, slippery ramps, landings, catwalks and for many other applications. 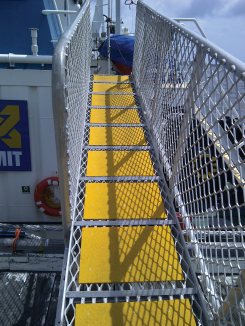 It is mainly designed to eradicate the threats of trips, slips and falls in the areas that are prone to exposure of water, oil, chemicals and other liquids. 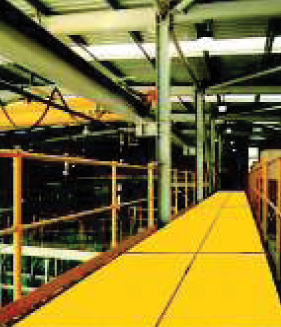 In addition to that, the standard bright yellow colour enhances visibility and acts as a simple deterrence against any incident of slips and falls.Treadwell can also colour match any RAL colours according to specification. 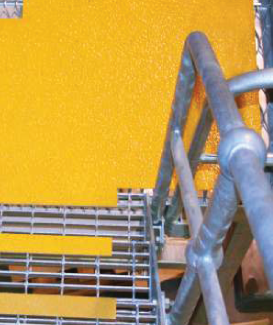 For extremely oily and wet areas, DeckSAFE® goes further with the option of heavy duty abrasive grit to eliminate tripping hazards. 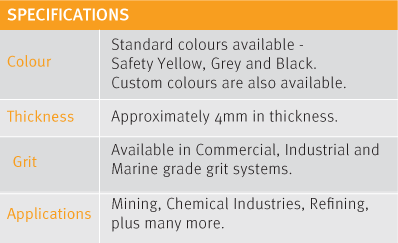 Integrated signage, meaning any symbol, letter or word, can be included upon request to increase employee awareness of hazards onsite.